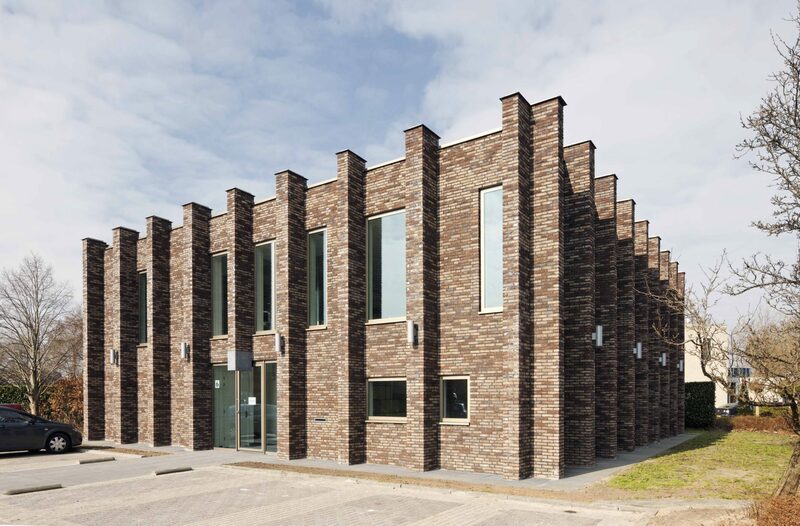 The building of dental practice Oosterboer is a clear architectural counterpart in the Oosterboer district in Meppel, thanks to its robust appearance. The surroundings of the building mainly includes buildings that were built in the 1980s. The dental practice building has a timeless appearance and is therefore a calming point in the district. 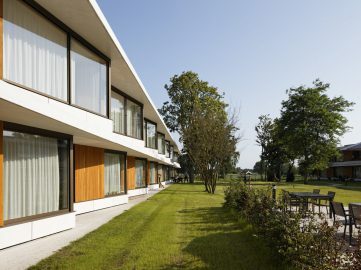 The building was inspired, among others, by the Amsterdamse School style. In addition, the building strongly resembles a historic castle, because of its piers and dark brick. The robust appearance gives the building a timeless appeal. 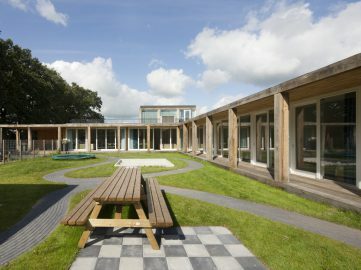 The design greatly takes into account saving on the energy consumption of the building. For example, a heat pump has been installed, which extracts heat or cold from the outside air. In addition, sustainable materials such as glass, brick and aluminium have been used. The layout of the building is very functional. When entering, the visitor arrives directly at the reception and the waiting area. 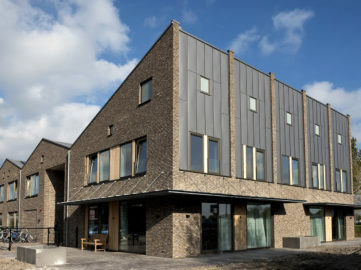 On the left and right sides of the building are six connected treatment rooms, which are connected to each other with a sliding door. A staff room can be found on the first floor. In addition, there is room on the first floor for future expansion, without major structural changes being necessary.